What is neurofeedback?Neurofeedback is a direct training of the brain function, in which the brain learns how to function more efficiently. It uses real-time displays of brain activity, like electroencephalography (EEG) or Quantitative electroencephalography (QEEG). Aside from training the brain to function efficiently, neurofeedback is also used to lessen anxiety, depression and other mental functions that may affect a person’s daily life. Alpha Theta Center is a brain training center located in San Diego, California. They offer neurofeedback services to people who are experiencing sleep disorders, such as insomnia, Post Traumatic Stress Disorder (PTSD), and other brain issues that are results of brain injury.The center was founded by Dr. Michael Villanueva, which worked as a clinical psychologist. He was deployed in Afghanistan and he used neurofeedback to help soldiers overcome the operational stress that resulted to anger and insomnia. He also used neurofeedback to enhance the performance of soldiers in the field.If you want to know more about Alpha Theta Center’s Neurofeedback, you can visit their site or visit their clinic located at 11230 Sorrento Valley Road, Suite 210, San Diego, California. Who can benefit from neurofeedback? The answer is, well, almost everyone! Since neurofeedback trains the brain to function more efficiently, it can be applied to almost everyone, whether they have sleep disorders, mental issues like Post Traumatic Stress Disorder (PTSD) or just simply want to have to live their lives to the fullest with a fully exercised brain. By giving the brain information through light and sound, the brain is exercised – it learns and adapts this information to be used in its current environment. You might be wondering if neurofeedback is safe. Yes, it is safe, since it is non-invasive. No surgery or medication is involved in neurofeedback. The effects of neurofeedback are permanent as long as you maintain a healthy lifestyle. However, neurofeedback does not actually cure a problem, but it helps the brain cope up and have a normalized environment where it can work properly. If you are under medication for some illness that you might have, you should never stop taking your medicine without consulting your doctor because of neurofeedback. Your medications will not interfere with neurofeedback. Undergoing neurofeedback does not assure that it will not have any side effects. Like training and exercising a muscle, it can wear and tear your muscles. Some people with specific brain trauma that are undergoing neurofeedback might experience nausea, dizziness, and light sensitivity. 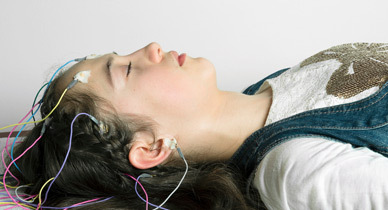 If this happens, you may notify the person who is in-charge of your neurofeedback session.